With the Internet, the proliferation of Big Data, and autonomous systems, mankind has entered into an era of 'digital obesity'. In this century, computational intelligence, such as thinking machines, have been brought forth to process complex human problems in a wide scope of areas - from social sciences, economics and biology, medicine and social networks, to cyber security.The Handbook of Computational Intelligence (in two volumes) prompts readers to look at these problems from a non-traditional angle. It takes a step by step approach, supported by case studies, to explore the issues that have arisen in the process. 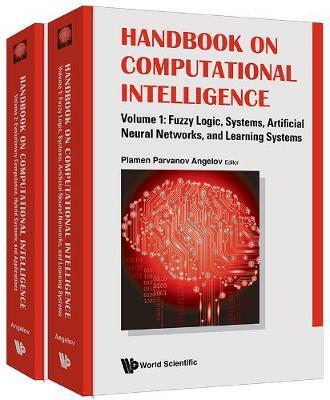 The Handbook covers many classic paradigms, as well as recent achievements and future promising developments to solve some of these very complex problems. Volume one explores the subjects of fuzzy logic and systems, artificial neural networks, and learning systems. Volume two delves into evolutionary computation, hybrid systems, as well as the applications of computational intelligence in decision making, the process industry, robotics, and autonomous systems.This work is a 'one-stop-shop' for beginners, as well as an inspirational source for more advanced researchers. It is a useful resource for lecturers and learners alike.